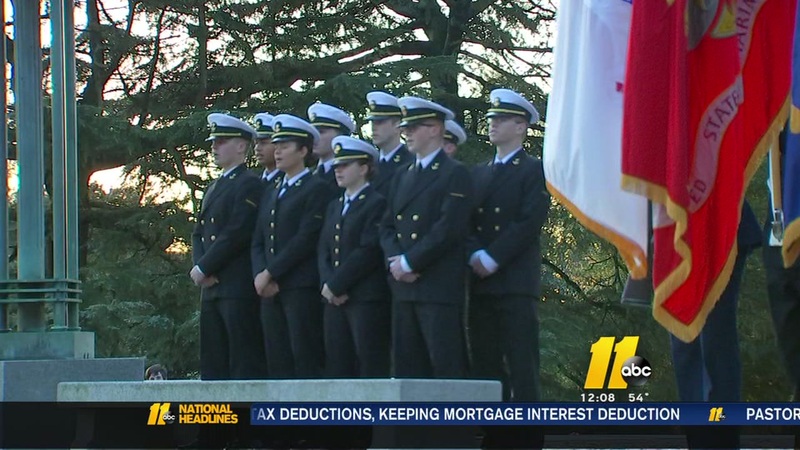 NORTH CAROLINA (WTVD) -- In honor of Veterans Day, a university in North Carolina announced it's offering scholarships to veterans looking to earn a bachelors degree in IT, business, K-12 education, and health professions. WGU North Carolina, the state's newest online university, created through a partnership with the nonprofit, Western Governors University. The WGU Salute to Veterans Scholarship is valued at up to $2,500 per student and is not just being offered to veterans, but to active-duty military, reservists, and military family members as well. The scholarship helped one military veteran finish her degree while she was serving in Iraq. Jennifer Eckard said that she was able to complete about 90% of her degree while she was deployed. At least $50,000 in scholarships will be awarded to new WGU North Carolina students in the state. Applications are now being accepted through January 31, 2018. For more information on the scholarship, including the requirements and the application form visit WGU North Carolina's website.